Azamethiphos is a veteran organophosphates used almost exclusively for the off-animal control of houseflies and nuisance flies as well as crawling insects in livestock operations: stables, dairy premises, piggeries, poultry houses, etc. Azamethiphos is first known as "Snip Fly Bait" "Alfacron 10" "Alfacron 50" from Norvartis. As the manufacturer for Novartis initially, we have developed our own Azamethiphos products including Azamethiphos 95% Tech, Azamethiphos 50% WP, Azamethiphos 10% WP and Azamethiphos 1% GB. 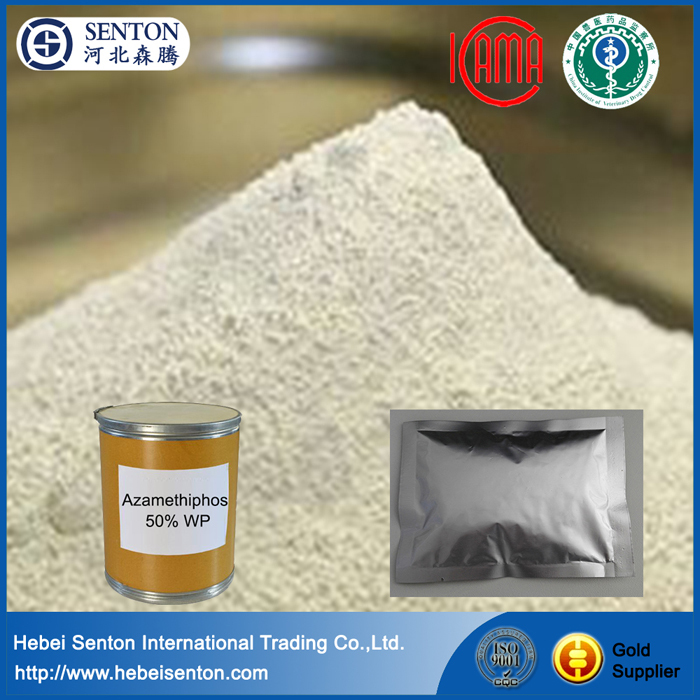 Azamethiphos is found as a colourless to grey crystalline powder or sometimes as orange yellow granules. Looking for ideal Grey Crystalline Powder Manufacturer & supplier ? We have a wide selection at great prices to help you get creative. 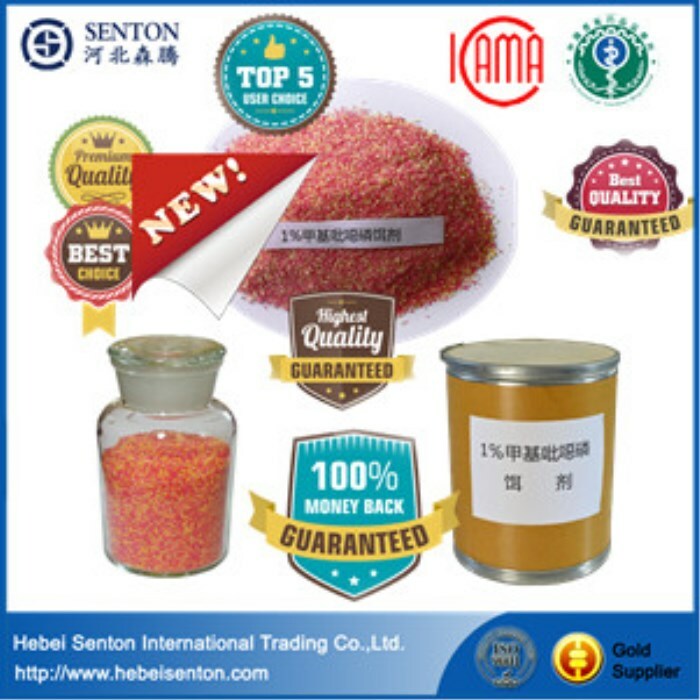 All the Orange Yellow Granules are quality guaranteed. We are China Origin Factory of To Control External Parasites. If you have any question, please feel free to contact us.